There is a great need in Third World rural areas for churches that can serve as an all-weather gathering place for Believers. Small thatched huts provide poor Protection from the elements during the rainy season. As small fellowship groups grow into larger groups small huts and homes hinder the growth of the community of Believers. Very often these church buildings also serve other purposes such as schools and Orphanages; further strengthening the community. The Vision Charitable Trust, Third World Rural churches Ministry Center is facilitating the building of such Churches in rural areas where the population is very poor. 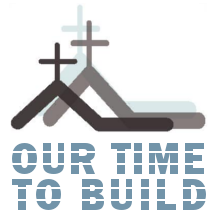 Due to the economic strains the local community would never be able to build the church on their own. Other challenges faced are resistance from local non-Christian groups and government authorities. Please pray for our Brothers and Sisters in these rural areas.